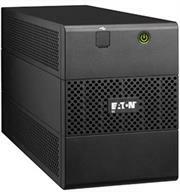 Go for assured performance with the Eaton E Series DX 3000H XL UPS, EDX3000HXL. 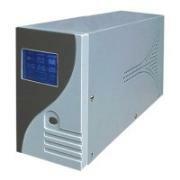 The 220V 3000VA (2100Watt) pure sine wave online UPS offers advanced technology for top performance. 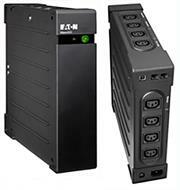 The E series DX UPS double-conversion online UPS from Eaton is affordable superior quality. Get power backup and protection for mission-critical applications, ensuring you get extended power availability. You save your equipment from downtime, data loss and corruption. 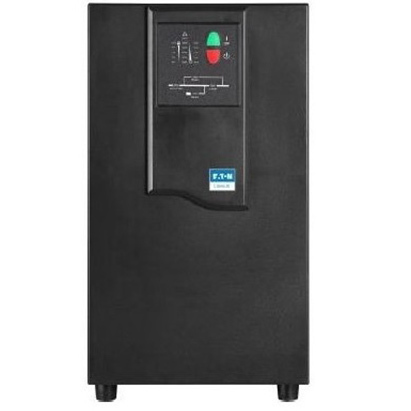 Because the double-conversion architecture incorporates rectifier and inverter stages that completely isolate the output power from all input anomalies, your equipment stay secure and in sustained operation. The E series DX doesn’t draw power from its battery when there are minor power fluctuations. That way, the power in the battery is saved for use when there’s power outage. The E Series DX UPS double-conversion UPS affordably protects mission critical applications from downtime, data loss and corruption. The double-conversion architecture incorporates rectifier and inverter stages to completely isolate the output power from all input anomalies. 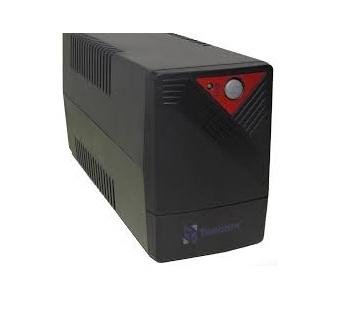 By adapting to a wide range of input voltages, the E Series DX avoids battery usage during minor power fluctuations, saving its capacity for times when utility power is completely lost. •Eight outlets with IEC format for easy connection to typical computer configurations with peripherals. 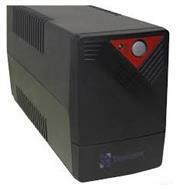 •Periodic battery self-test ensures early detection of a battery that needs to be replaced. 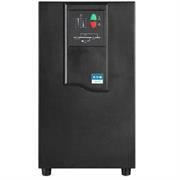 •Push-button circuit breaker enables easy recovery from an overload or short circuit. 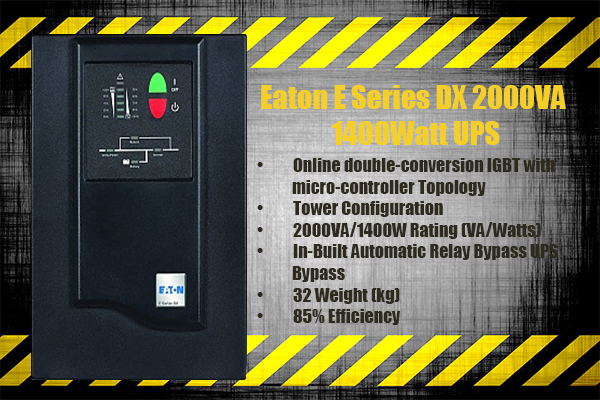 Eaton E Series DX 1000VA 700Watt UPS, Retail Box , 1 year Limited Warranty. The E Series DX UPS double conversion UPS affordably protects mission critical applications from downtime, data loss and corruption. The double conversion architecture incorporates rectifier and inverter stages to completely isolate the output power from all input anomalies. By adapting to a wide range of input voltages, the E Series DX avoids battery usage during minor power fluctuations, saving its capacity for times when utility power is completely lost. 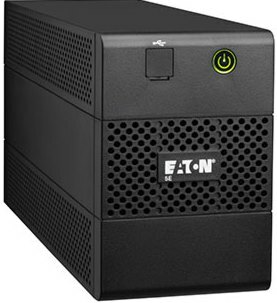 Eaton Ellipse ECO 1200VA/750W Rackmount/Tower USB UPS, Retail Box , 1 year Limited Warranty. 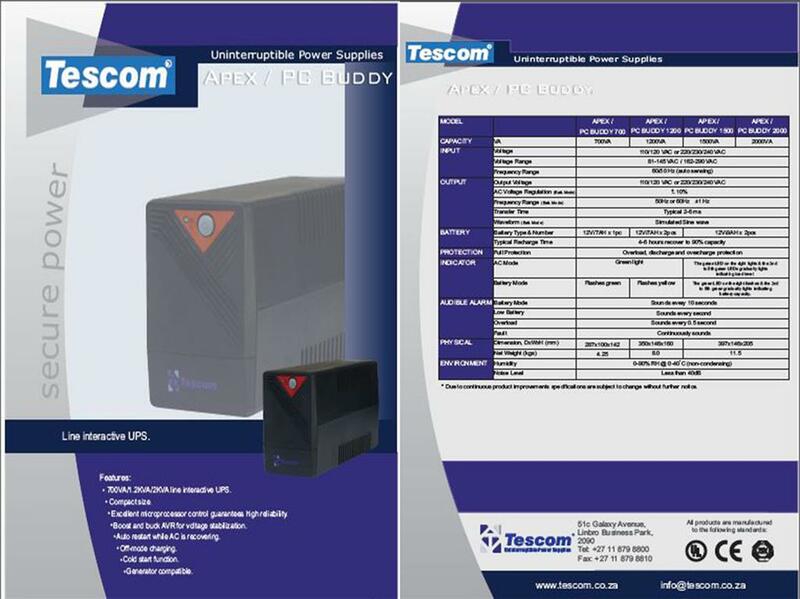 Tescom APEX 3000VA, Retail Box , 1 year Limited Warranty. • AVR boost and buck. • Smart RS-232/USB interface for power management. • Auto charging at off mode. • Auto restart while AC is recovering. 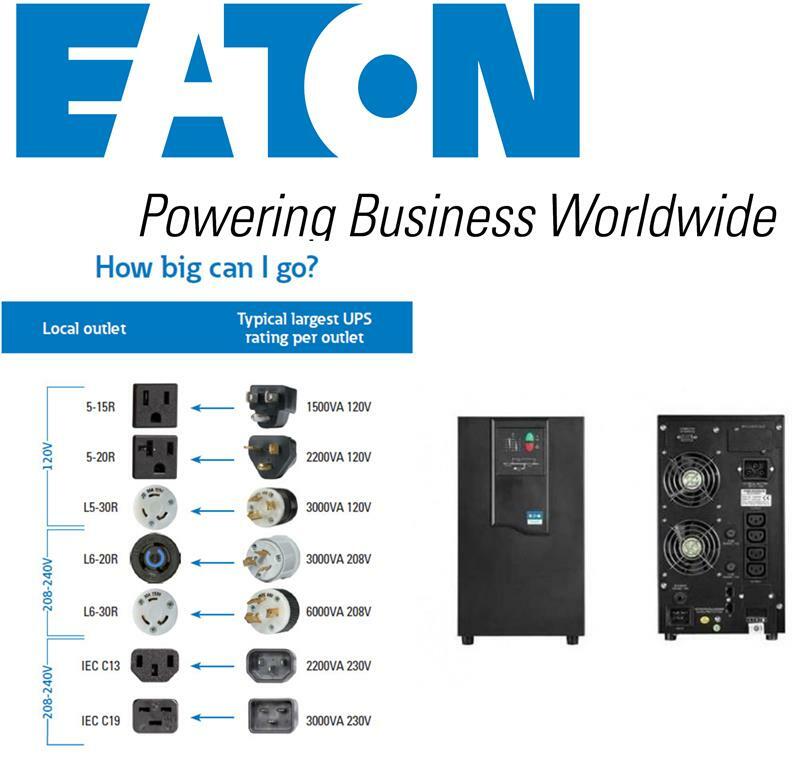 The Eaton 5E 1500VA 900Watts USB UPS is an essential line interactive UPS that provides cost effective and reliable power protection against power outages and bad power quality with the Automatic Voltage Regulation (AVR) built-in on this unit. 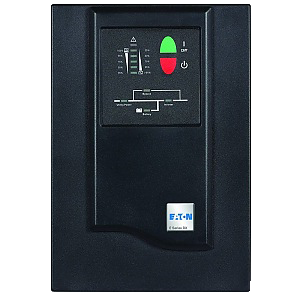 Avoid back door damages coming through your phone lines as the Eaton 5E 1500VA 900Watts USB models are equipped with data line surge protection (Internet/Tel/Fax).Thanks to its small size the 5E can be installed easily either in a business environment or at home. 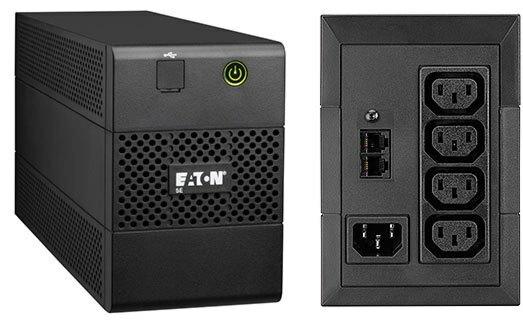 EATON Ellipse ECO 650VA/400W Rackmount/Tower USB UPS, Retail Box , 1 year Limited Warranty. 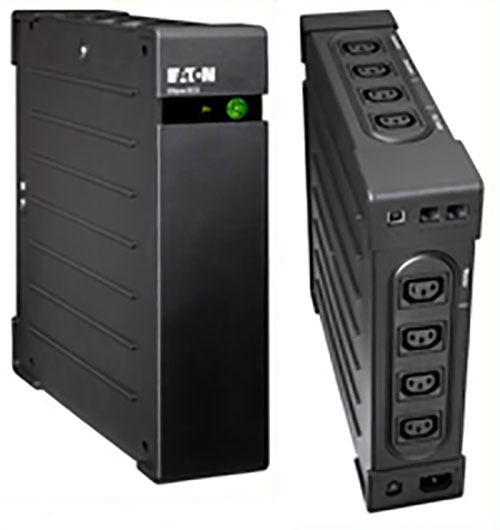 •Four outlets with IEC format for easy connection to typical computer configurations with peripherals. The Eaton 5E 1100VA 660Watts USB UPS is an essential line interactive UPS that provides cost effective and reliable power protection against power outages and bad power quality with the Automatic Voltage Regulation (AVR) built-in on this unit. 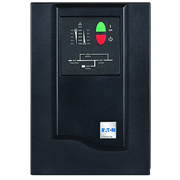 Avoid back door damages coming through your phone lines as the Eaton 5E 1100VA 660Watts USB models are equipped with data line surge protection (Internet/Tel/Fax).Thanks to its small size the 5E can be installed easily either in a business environment or at home. 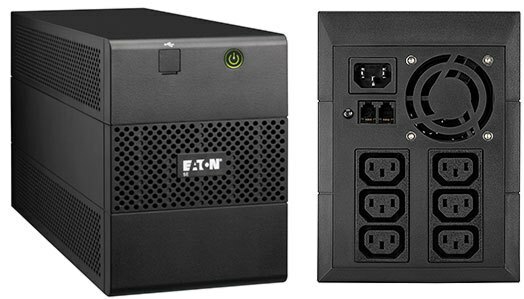 The Eaton 5E is an essential line interactive UPS that provides cost effective and reliable power protection against power outages and bad power quality. Thanks to its small size the 5E can be installed easily either in a business environment or at home. The Eaton 5E 650VA 360Watts USB UPS is an essential line interactive UPS that provides cost effective and reliable power protection against power outages and bad power quality with the Automatic Voltage Regulation (AVR) built-in on this unit. 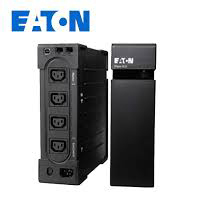 Avoid back door damages coming through your phone lines as the Eaton 5E 650VA 360Watts USB models are equipped with data line surge protection (Internet/Tel/Fax).Thanks to its small size the 5E can be installed easily either in a business environment or at home.